"The Lord watch between me and thee, when we are absent one from another"
Picture is an example of a stitched "Counted Prayer" graph. 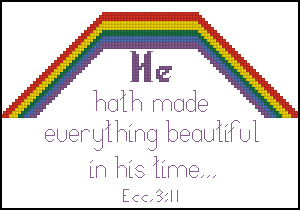 "He hath made everything beautiful in his time..."
Picture is an example of a stitched "Ecclesiastes 3:11" graph. 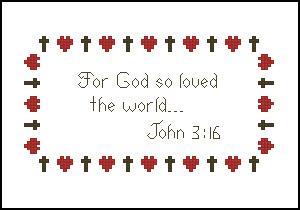 Picture is an example of a stitched "John 3:16" graph. "...FOR THE JOY OF THE LORD IS MY STRENGTH." 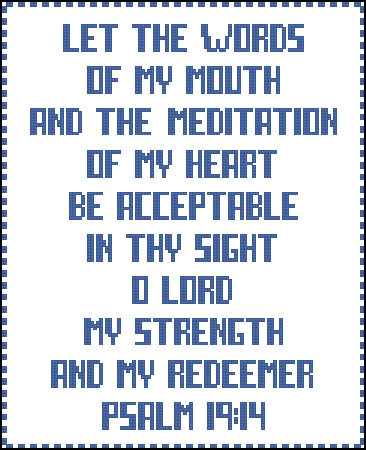 Picture is an example of a stitched "Nehemiah 8:10" graph. "Choose you this day whom ye will serve...but as for me and my house, we will serve the Lord." 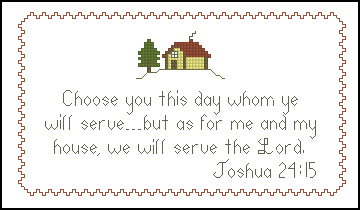 Picture is an example of a stitched "Joshua 24:15" graph. 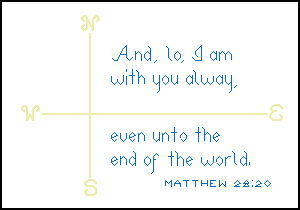 "And, lo, I am with you alway, even unto the end of the world." Picture is an example of a stitched "Matthew 28:20" graph. 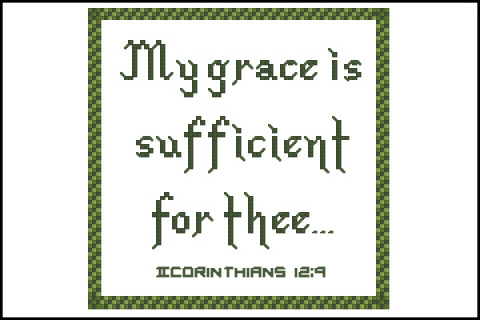 Picture is an example of a stitched "Philippians 4:13" graph. 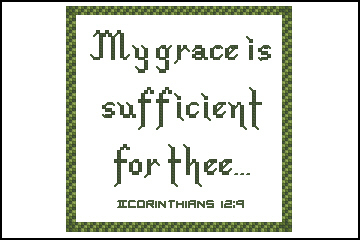 "My grace is sufficient for thee..."
Picture is an example of a stitched "2 Corinthians 12:9" graph. 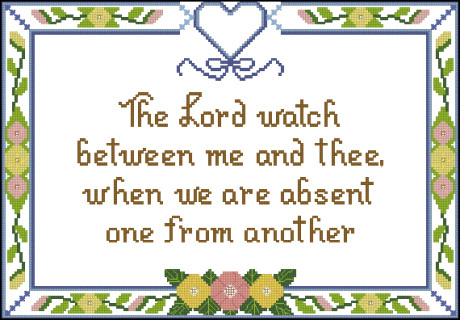 "But seek ye first the kingdom of God..."
Picture is an example of a stitched "Matthew 6:33" graph. 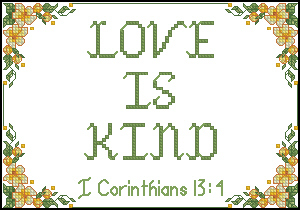 Picture is an example of a stitched "1 Corinthians 13:4" graph. 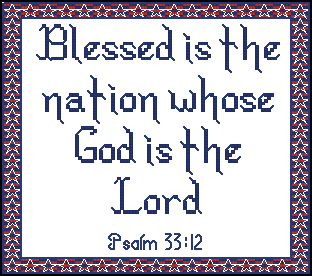 Picture is an example of a stitched "Psalm 33:12" graph. 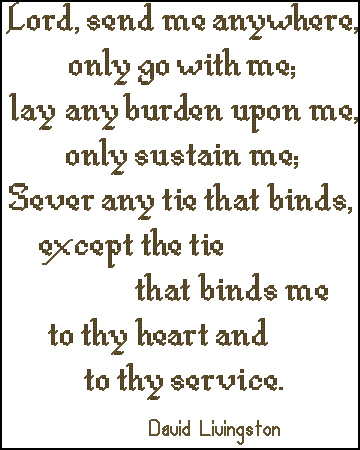 "Lord, send me anywhere, only go with me; lay any burden upon me, only sustain me; Sever any tie that binds, except the tie that binds me to thy heart and to thy service." 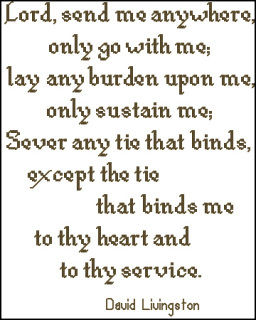 This is not a Bible verse but a special quotation by David Livingstone. 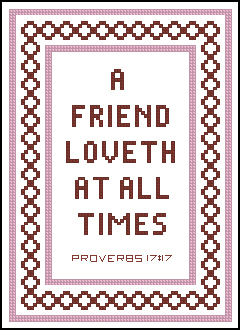 Picture is an example of a stitched "David Livingstone Quote" graph. 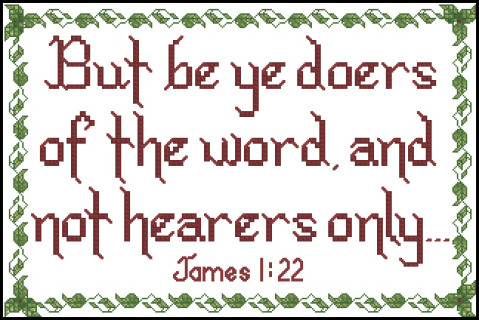 "But be ye doers of the word, and not hearers only..."
Picture is an example of a stitched "James 1:22" graph. 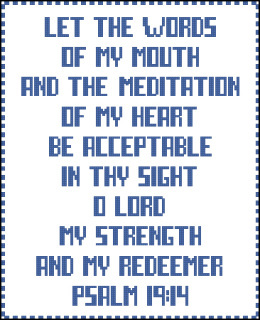 "LET THE WORDS OF MY MOUTH AND THE MEDITATION OF MY HEART BE ACCEPTABLE IN THY SIGHT O LORD MY STRENGTH AND MY REDEEMER"
Picture is an example of a stitched "Psalm 19:14" graph.